Academic program: "An academic program is a structured grouping of coursework leading to a baccalaureate or graduate degree or to a teaching credential"
Academic unit: A department, school, college, or other administrative home for an academic program. Reorganization of academic programs and academic units may result from regular, formal Program Review, accreditation recommendations, resource and enrollment issues, or curricular considerations. Reorganization of academic programs and units may include but is not limited to mergers, consolidations, divisions, separations or movements of either academic programs or units that affect how those programs or units are administered. Suspension of an academic program may result from regular, formal Program Review, accreditation recommendations, resources and enrollment issues, or a demonstrated need for faculty to review the curricular or administrative structure of the program. Program suspension is not acceptable when the aim is program discontinuance. An academic program may not be suspended for a period of more than two full academic years. After this period the program is automatically reinstated unless a new proposal is submitted to either (a) continue the suspension for an additional two-year term or (b) discontinue the program. The dean(s) of the college(s) involved in the academic programs or units to be reorganized, or programs to be suspended. The Provost may also initiate academic program or unit reorganization or program suspension. All proposals will be forwarded by the Provost to the Academic Senate Executive Committee for review. A proposal for the reorganization of an academic program or unit that is regarded to be non-contentious by the affected faculty, the Chair(s)/Head(s)/Director(s), and the appropriate administrators, only requires 2A and 2B, above. Non-contentious proposals will be reviewed by the Academic Senate Executive Committee on the earliest convenient date. 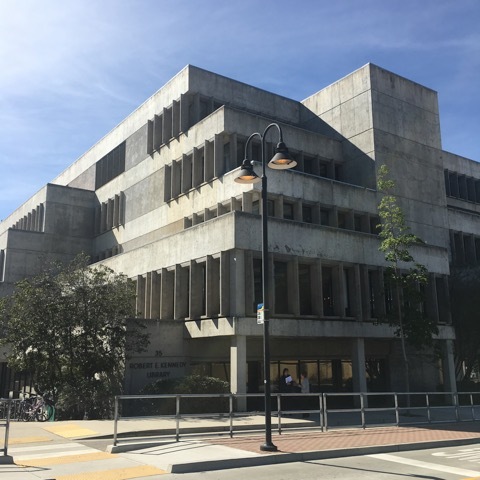 The Academic Senate Executive Committee will prepare a report either indicating agreement that the proposal is non-contentious by the Academic Senate Executive Committee will be placed on the Academic Senate consent agenda along with the Academic Senate Executive Committee report. The Academic Senate will be notified of the consent agenda items. Consent agenda items resulting from this process will be subject to appeal by any senator. Pulled proposals will be placed on the next Academic Senate agenda as a business item in the first and second reading cycle. D. Compelling evidence to support the financial or academic benefits of any proposed reorganization or program suspension, relative to leaving the existing program or unit in place or unchanged. M. An explanation as to why program suspension, not program discontinuance, is being proposed. N. The date when the proposed program suspension would take effect, and the date when it is anticipated that the program would be reinstated. Upon receipt of contentious proposal(s) to reorganize program or units, or to suspend academic programs, the Academic Senate Chair will form an ad hoc committee comprised of one faculty member from each college (none of whom are members of the affected programs or units), one student (who may be from one of the affected programs or units), and when possible, two faculty members from affected programs or units. The charge of the ad hoc committee will be to review the proposal changes and provide a report with recommendations to the Academic Senate. Proposal review periods are not to exceed twelve (12) weeks.